China has its sights on sending a rover to the Red Planet in 2020, the head of the country’s lunar exploration program said Sunday. “Next year, China will launch its Mars probe which is expected to encircle, land on and explore the Mars,” Wu Weiren, chief designer of China’s lunar exploration program, said ahead of the Chinese People’s Political Consultative Conference, China’s top political advisory body. “We hope all the youngsters in our country could devote themselves to this great cause,” he added in a video translated by state news agency Xinhua. The announcement comes just days after China opened a Mars simulation camp for tourists in Qinghai Province in the country’s northwest. 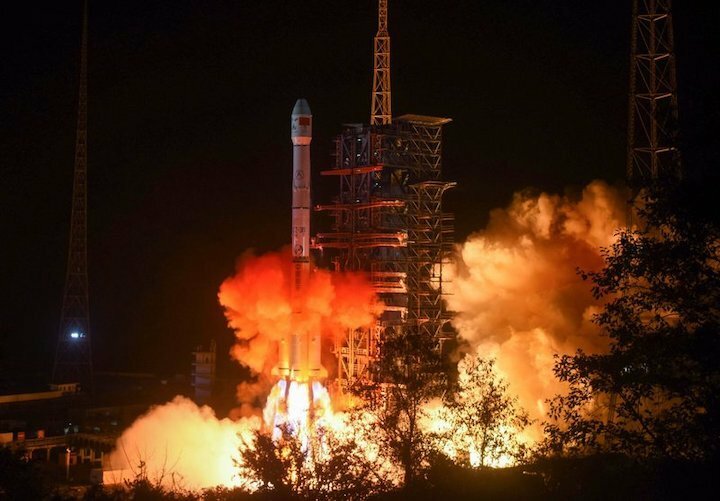 Beijing has recently made huge leaps in the space race. The announcement of plans to visit Mars comes just a month after China became the first country to land a rover on the far side of the moon, buoying its reputation in space exploration. “This is a first for humanity and an impressive accomplishment,” Tweeted Jim Bridenstine, NASA’s Administrator. NASA has also announced plans for a Mars mission in 2020.